The Central Travancore planting district is located in the Peermade and Vandiperiyar taluks in Idukki district of Kerala state. These hilly areas form part of the SahyaParvatam, as it is known in Kerala or the Sahyadri, known to the world as the Western Ghats. This mountain range along the western side of India is a UNESCO World Heritage Site and is one of the eight “hottest biodiversity hotspots” in the world. The range runs north to south approximately 1,600 km (990 miles) along the western edge of the Deccan Plateau, and separates the plateau from a narrow coastal plain, called Konkan, along the Arabian Sea. There are thirty nine protected areas including national parks, wildlife sanctuaries and reserve forests: twenty in Kerala, ten in Karnataka, five in Tamil Nadu and four in Maharashtra.The area has over 5000 species of flowering plants, 139 mammal species, 508 bird species and 179 amphibian species; it is likely that many undiscovered species live in the Western Ghats. The range starts near the border of Gujarat and Maharashtra, south of the Tapti river, and runs through the states of Maharashtra, Goa, Karnataka, Tamil Nadu and Kerala ending at Kanyakumari, at the southern tip of India.These hills form the catchment area for the complex riverine drainage systems that drain almost 40% of India. The western face of these mountains get the full force of the monsoon, crucial for the ecology of the region. The Peermade region, consists of cool grasslands on the exposed slopes and wooded valleys and sheltered hillsides. 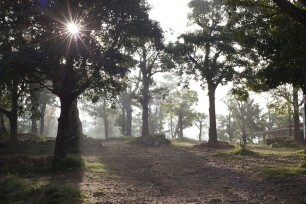 The hill station of Peermade was once the summer retreat of the Maharajahs of Travancore. The Periyar River winds its way through the hills. The Pamba (also spelt Pampa) River, the third longest river in Kerala, originates at thePulachimalai hill in the Peermade plateau, located in the PoabsPambanar Estate. The main road connection from Kottayam leads to Mundakayam, from where the ghat road starts, winding through Peermade and Vandiperiyar and reaching Kumily, which is 4 km from Thekkady, the location of thePeriyarWildlife Sanctuary, one of the finest wildlife reserves in the country. Mundakayam is the nerve-centre of the rubber industry and both Mundakayam and Kumily are thriving plantation towns serving the plantation sector. The Peermade-Vandiperiyar zone of the Idukki revenue district is one of the oldest planting districts of South India. 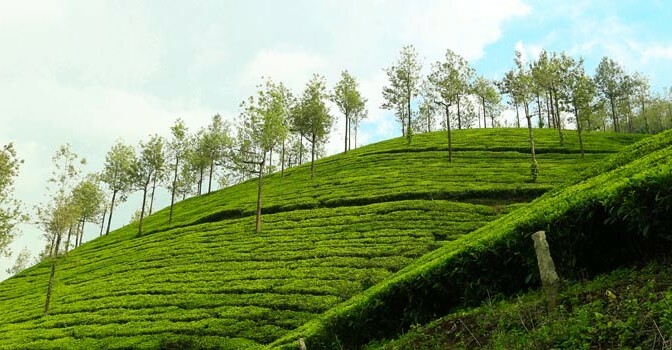 Tea estates are situated at elevations varying from 750 m to 1,350 m above mean sea level. Annual rainfall ranges from a minimum of 2,000 mm in the Vandiperiyar area to a maximum of 6,000 mm in the Peermade zone. On an average, the dry spell extends to about 90 -150 days. The average minimum temperature is in the range of 18 to 20°C but can drop to about 5°C during winter months. The maximum temperature can even touch 35°C during the summer months. The total area under tea cultivation is about 15,000 ha, with an annual production of about 20 million kilogram. 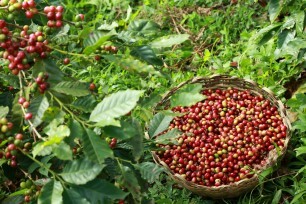 Besides tea, coffee, pepper and cardamom are also grown in a sizeable area. The famous ‘Cardamom Hill Reserve’ is located in Central Travancore region of Kerala. The distance from Peermade to Vandiperiyar is 18 km. The various Poabs estates stretch from Peermade to Vandiperiyar, adjoining other properties and straddle both sides of the ghat road, carpeting the hills green.